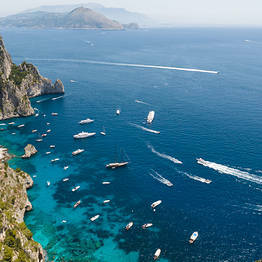 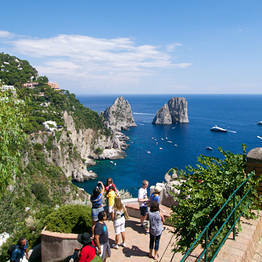 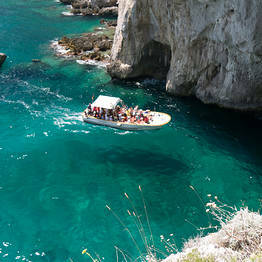 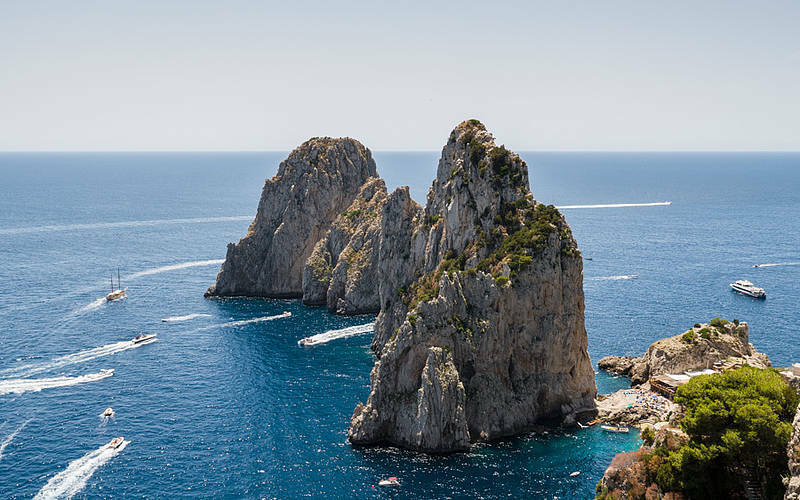 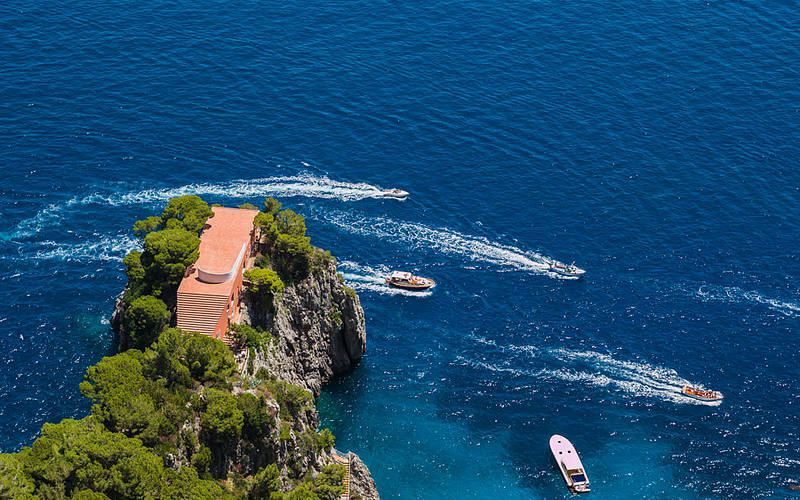 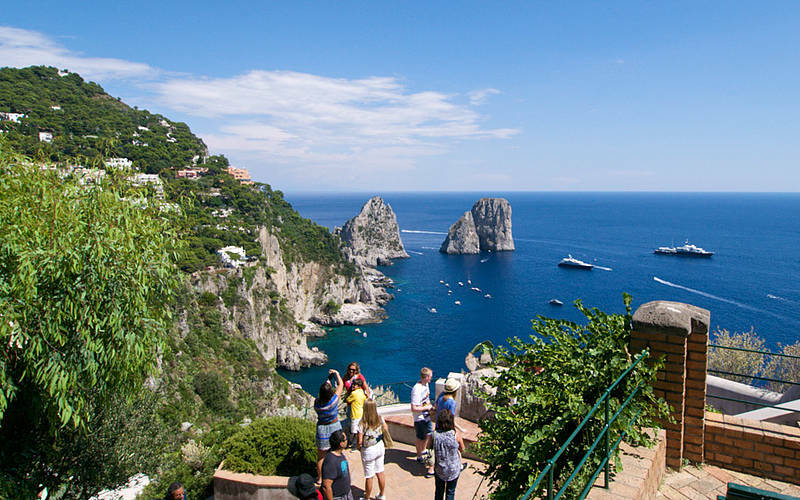 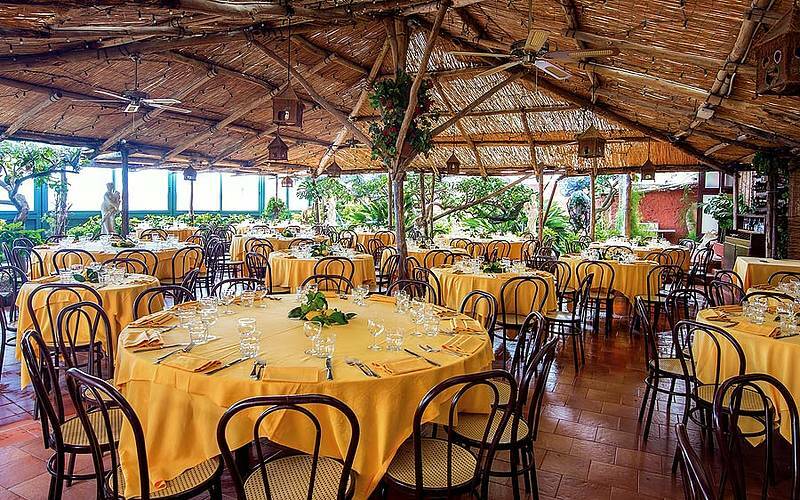 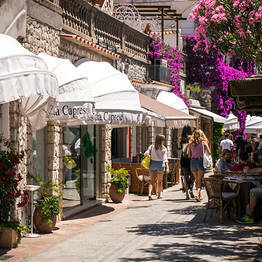 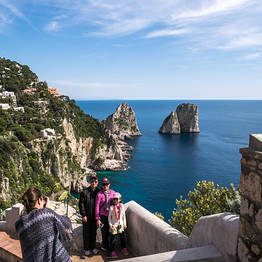 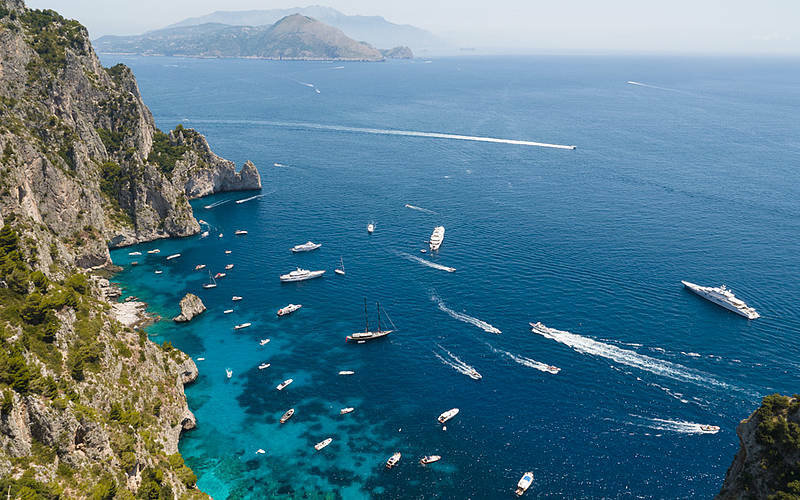 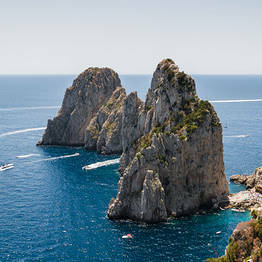 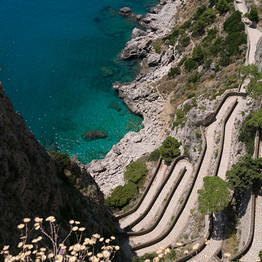 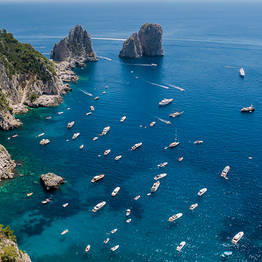 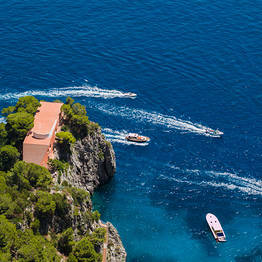 This package is ideal if you have limited time on Capri and want to explore the island independently. 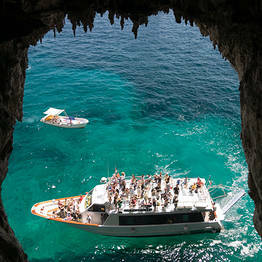 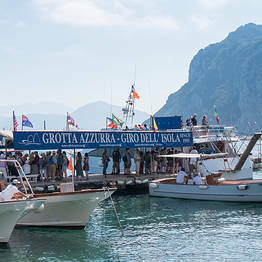 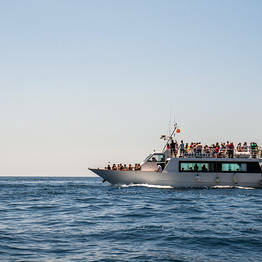 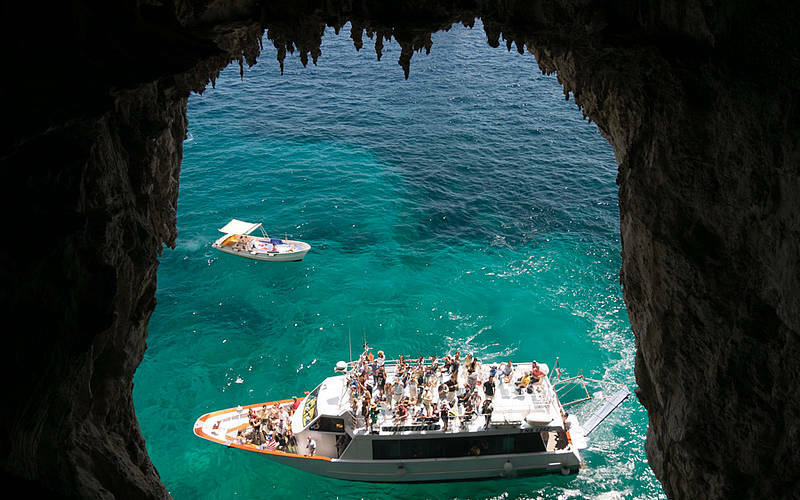 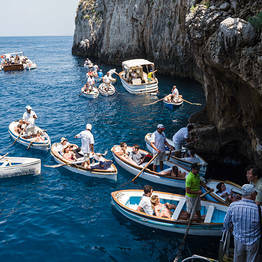 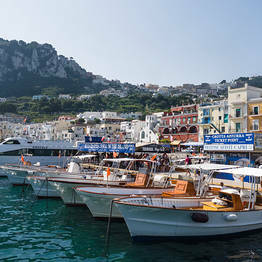 1 - BOAT TOUR - Once disembarked from the ferry, go to the Motoscafisti ticket office (Pier 0 at the port on Capri) . 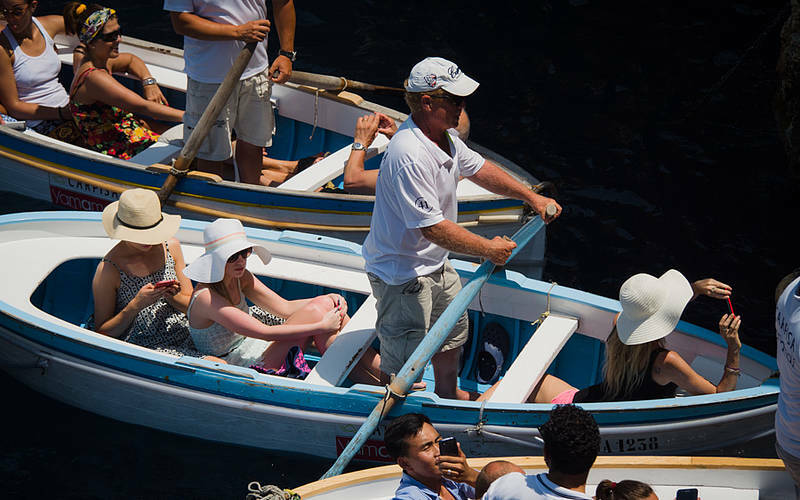 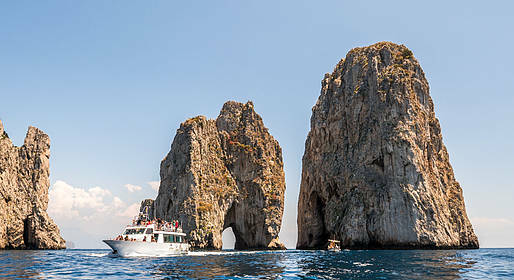 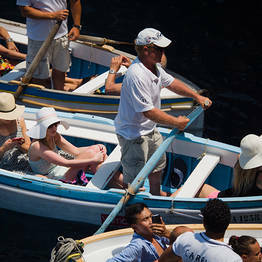 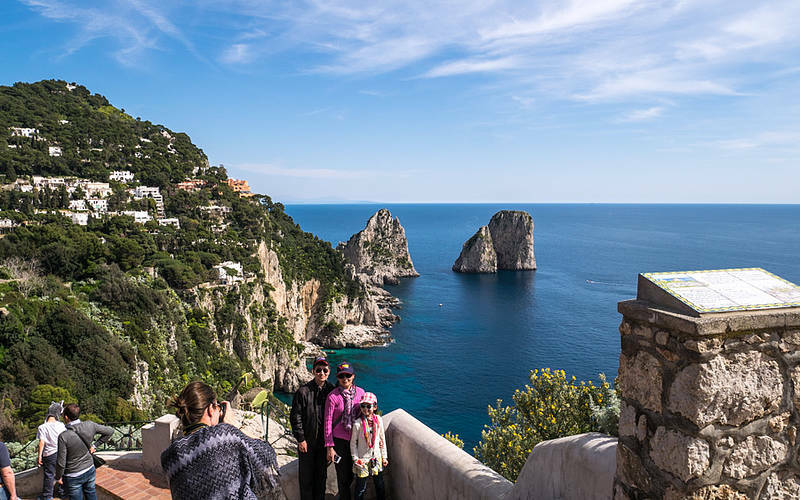 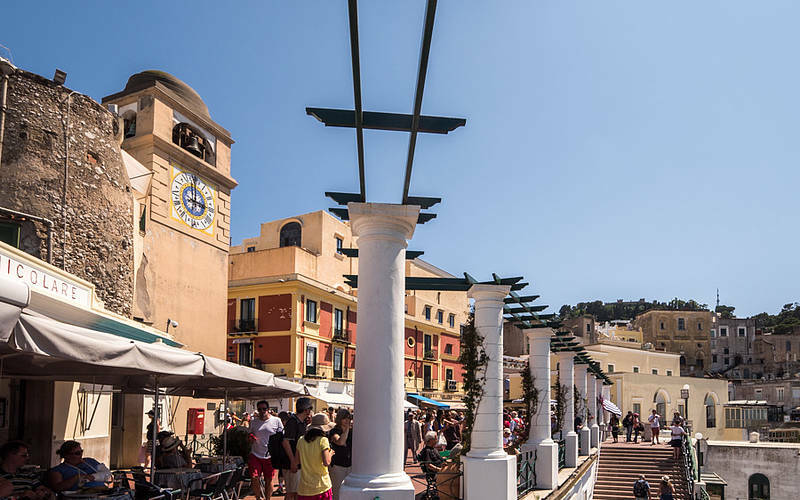 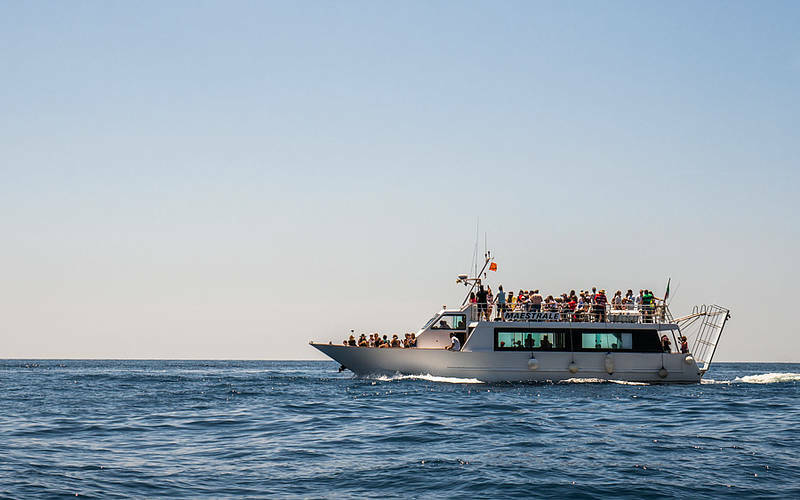 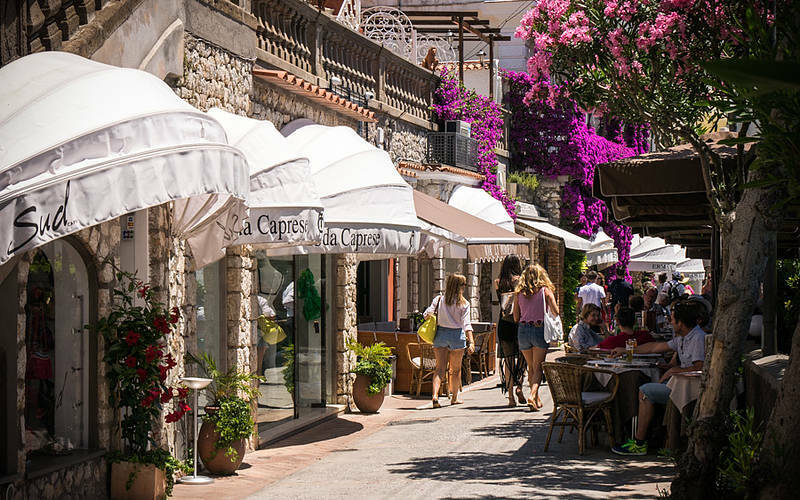 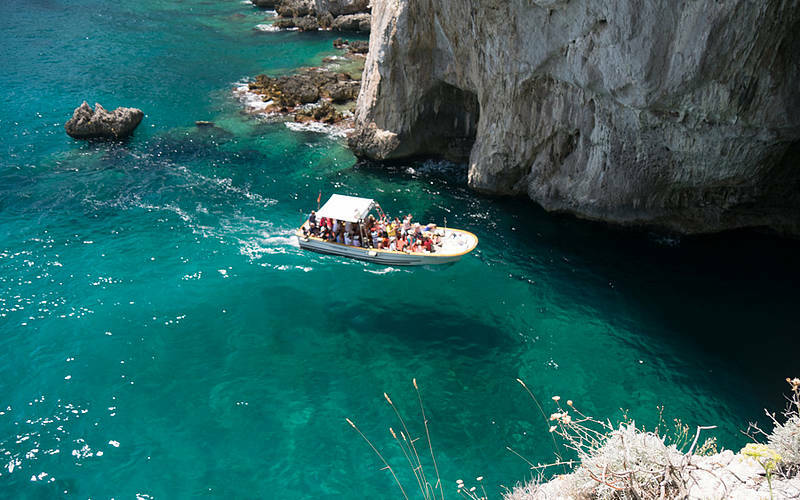 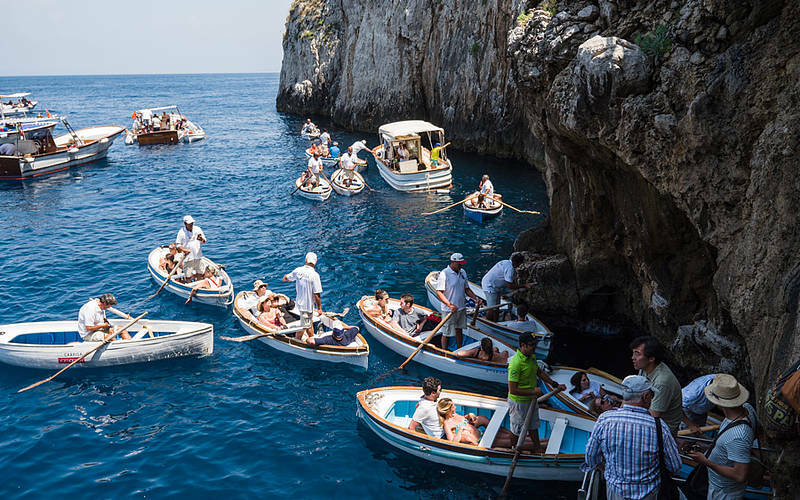 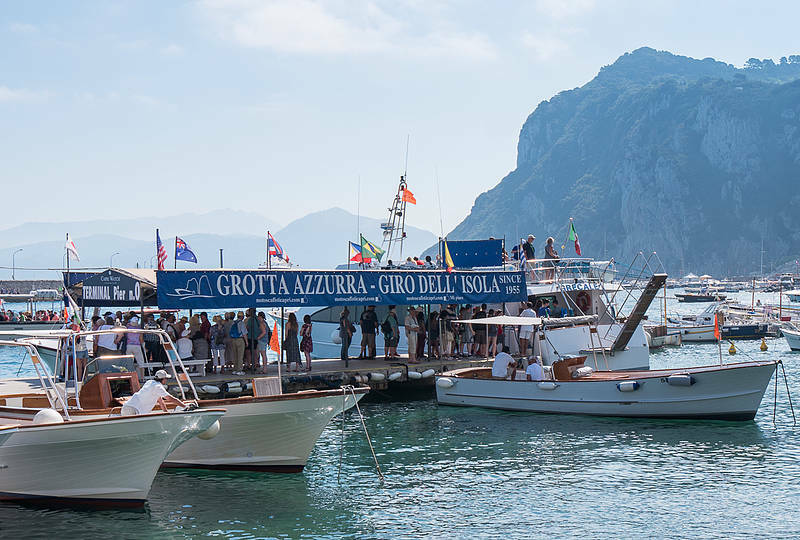 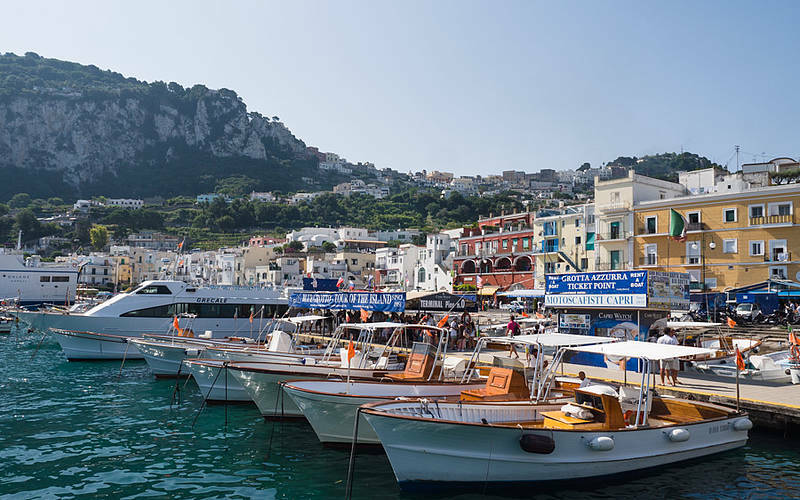 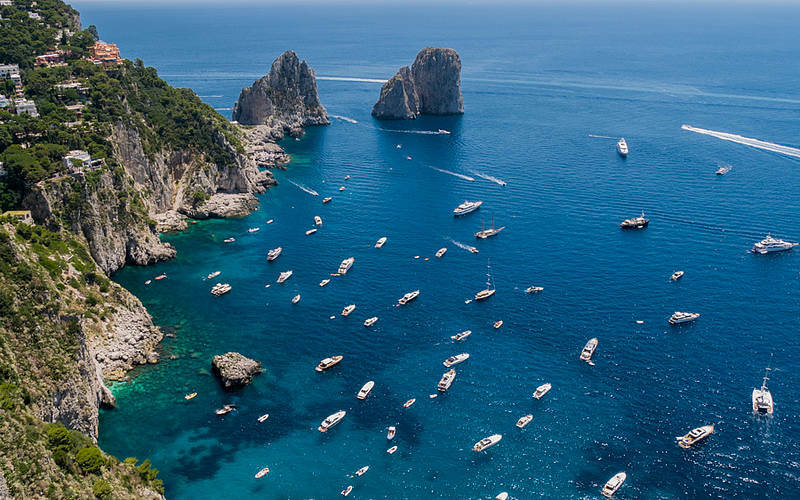 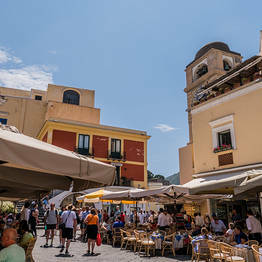 Pick up your ticket package and catch the first the boat tour around Capri (boat tours begin departures at 9:30 am and continue to depart all day with no set schedule; tours last around 2 hours). 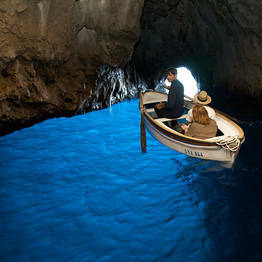 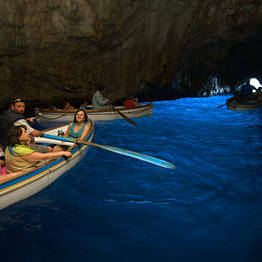 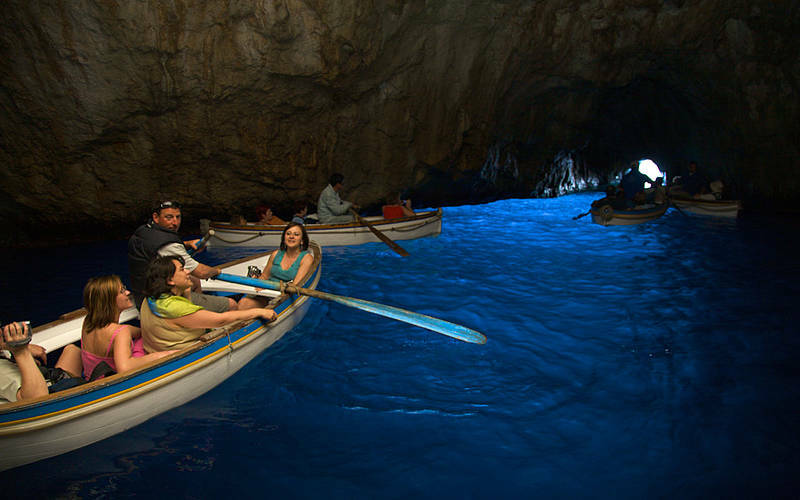 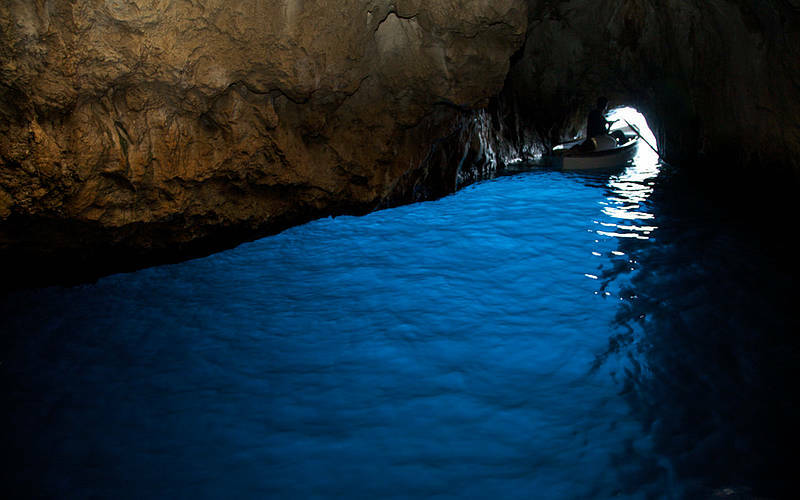 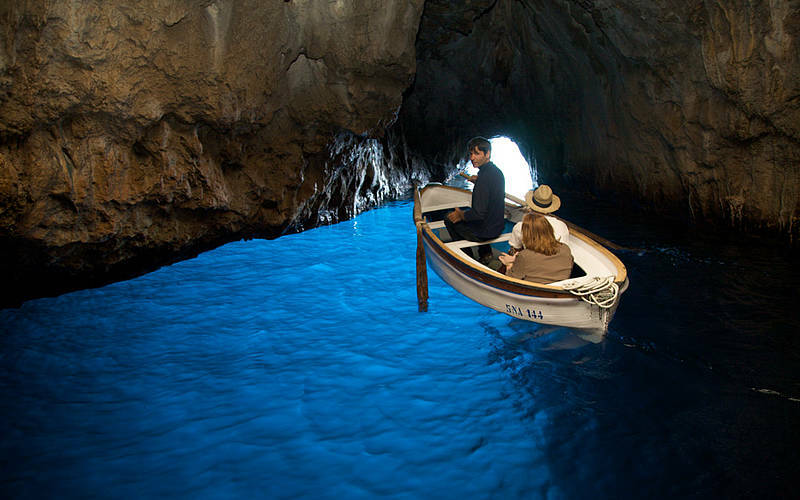 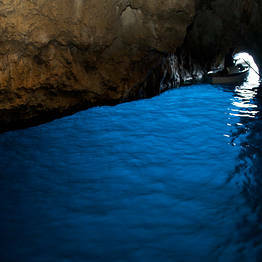 Tours include a stop at the Blue Grotto, if open. 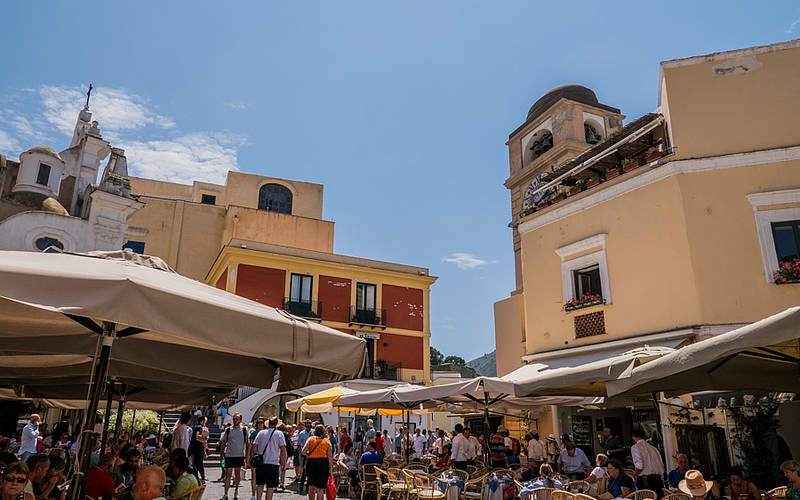 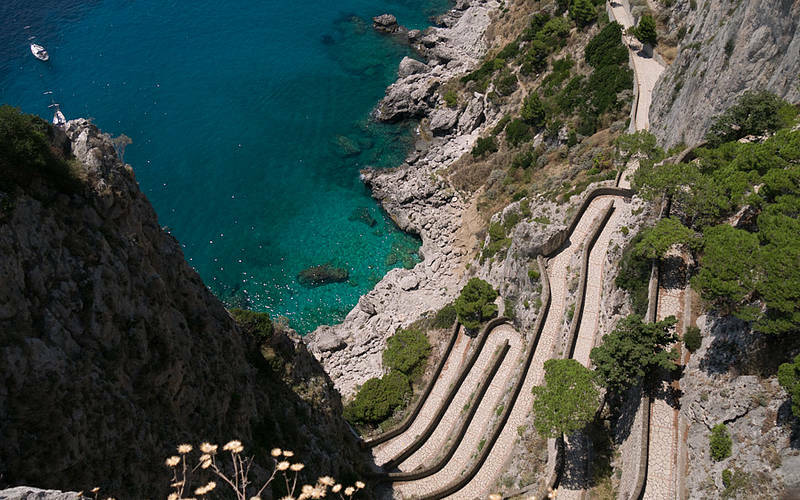 2 - FUNICULAR - Upon returning, take the funicular up to the Piazzetta in Capri town and visit the center: the Gardens of Augustus, Via Camerelle and Via Tragara, and Villa Jovis. 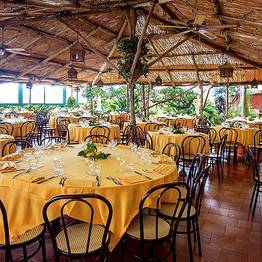 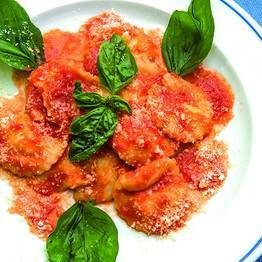 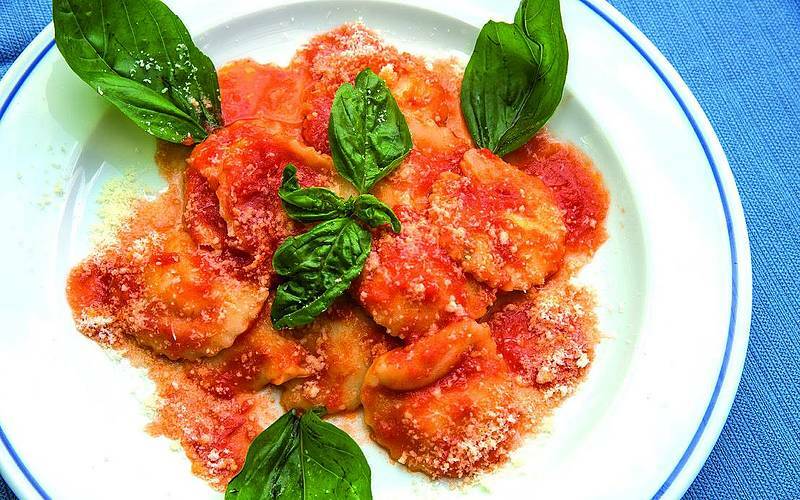 3 - LUNCH - Have lunch at "La Pigna". 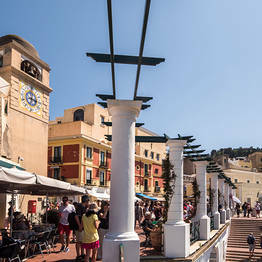 4 - FUNlCULAR - Take the funicular back down to the port at your chosen time; departures every 15 minutes.